Recently we’ve all become somewhat obsessed with what’s known as “zombie culture.” Popular movies and shows like World War Z and The Walking Dead spin out tales of survivors of the zombie apocalypse. Some people take these possibilities seriously, and have stocked food and weapons for the apocalypse. There are even entire websites devoted to zombie apocalypse preparedness. Zombie properties result when a foreclosure proceeding begins, but is never completed because the owner moves out of the home before the foreclosure process can be fully completed. This leaves the property in a twilight-like state- no one occupies the home, but the property remains in the homeowner’s name. Or, there is an extended dispute over ownership of the home, as many banks may be reluctant to claim such properties. 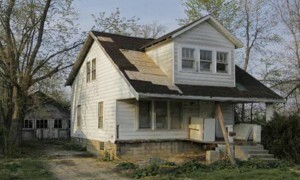 Some zombie properties may have no owner and may remain in this state for months or years. For some communities, zombie properties can create major problems. Properties that are left unoccupied for long periods of time can create pest control issues, plant overgrowth, increased wildlife, and other problems. They can also lead to more serious issues such as crime (the home may turn into a haven for drug trafficking and gang activities). These types of issues can “infect” the overall neighborhood and lower property values. Statistical reports indicate that the most affected metropolitan areas in 2014 were the New York/New Jersey/Long Island areas, and areas in Florida such as Miami, Ft. Lauderdale, and Tampa areas. Other states have been hit hard too. In my opinion, completely preventing zombie foreclosures might be a difficult task, as they are somewhat of the “fallout” resulting from the mortgage crisis from the past decade. Also, some zombie property situations are difficult to avoid (such as when the previous homeowner suddenly moves to a different state or out of the country). However, being able to identify and address the existing zombie homes can help prevent them from “infecting” the entire neighborhood through disuse and lack of upkeep. A push for more legislation requiring increased coordination between banks, mortgage companies, and state/local housing authorities. Creation of phone hotlines where neighbors can call to report suspected zombie properties. Streamlined court processes for auctioning off homes that have been deemed as zombie properties (usually homes that have been in that state for at least 3 years). Enforce quicker response times in terms of condemning and demolishing problematic zombie properties. I think these steps can help to reduce one of the main problems with zombie homes, which is that they are left unattended for long stretches of time. This is a problem that appears to be growing, and will be with us for a while. As such, it’s important for communities and local authorities to begin recognizing the dangers associated with such properties, and begin taking steps towards winning the war against zombie properties. If you notice any homes or properties that might be suspect, contact your local housing authorities, or a real estate attorney for assistance with the situation.